On the previous episode of The Flash, Nora’s big secret was revealed when the team learned that she has been working with Eobard Thawne in the future. Feeling betrayed, Barry threw his daughter from the future into the pipeline. In The Flash season 5 episode 18. we learned more about Nora’s backstory, while Barry and Iris remained at odds about how to handle the situation. In the middle of discussing how to handle Nora’s revelation, Sherloque reveals that he had his suspicions about Nora from day one. Much to the chagrin of Barry, the rest of the team isn’t quite convinced that Nora’s intentions were malicious. In order to reveal her true intent, Ralph suggests that they read her journal. That brings us into Nora’s future past in 2049. She was or will be a wide-eyed and slightly hyperactive rookie who arrives late to a crime scene. Despite this, she determined that a speedster was committing a series of chemical thefts. She shared this theory with her friend and co-worker. Leah. As Nora and Leah investigate video footage on the series of robberies, they confirm the emergence of a new speedster with white lightning. 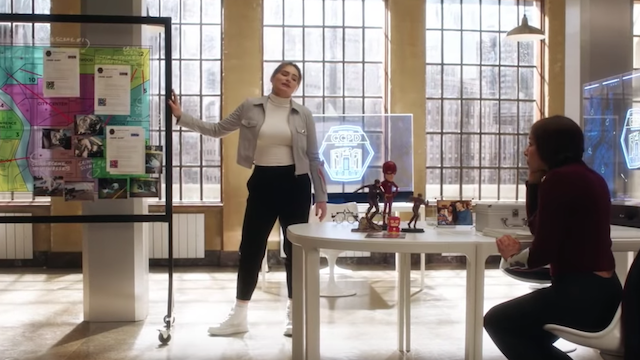 Nora visits the “Hall of Villains” in the Flash Museum to investigate further. She bumps into a man who looks suspicious, but she shrugs it off. Later, Nora and Leah visit Ollins Laboratories, where they encounter the new speedster who rushes past them. The evil speedster, who they later dub Godspeed, hits Nora with his white lightning. This knocks her unconscious while accidentally unleashing her powers. Nora wakes in the hospital, where Leah reveals that Godspeed got away with even more chemicals. She also examines a piece of shrapnel that was removed from Nora’s body after the attack, although its odd shape makes then suspicious. Nora quickly discovers her powers, and they eventually decide to keep her newfound speed a secret for the time being. Almost immediately afterward, a bank robbery alert pops up and Nora decides to do something really stupid. As she arrives on the scene, Nora goes berserk because she doesn’t know how to use her powers and the robbers get away. As a result of trying to figure out who Godspeed is, Nora decides to visit Thawne in order to learn about the psychology of an evil speedster. When she arrives at Iron Heights to question the Reverse-Flash, he quickly deduces that Nora has powers. Unfortunately, their limited time together runs out before Nora can get real answers. Afterward, Leah reveals that the shrapnel was actually an inhibitor chip meant to dampen Nora’s speed. Nora quickly realizes the seemingly obvious culprit – her mother. Later at Jitters, Nora vents her frustrations to Leah when she comes to the realization that Stagg Industries might be Godspeed’s next target. They arrive and find the suspected chemical untouched when Godspeed arrives. Nora reveals her newfound powers and the two duke it out. Godspeed eventually gains the advantage and murders Leah in front of Nora. 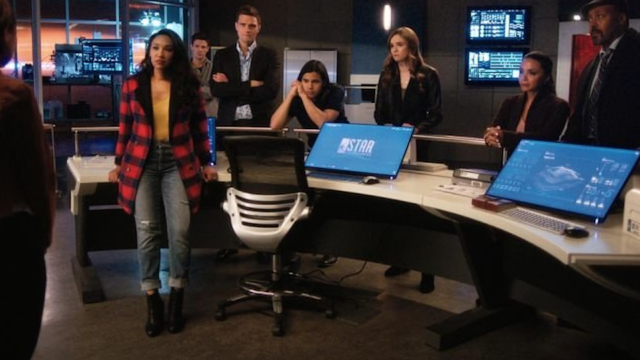 Back in the present, Team Flash contends with how Leah’s tragic death might have affected Nora. Regretting her future actions against her own daughter, Iris decides to give Nora a second chance. Iris frees Nora from the pipeline so that she can finish explaining the story herself. Jumping back into the past in 2049, Iris checks up on Nora. Nora reveals what she knows to her mother, angrily lashing out at her verbally with the proof. 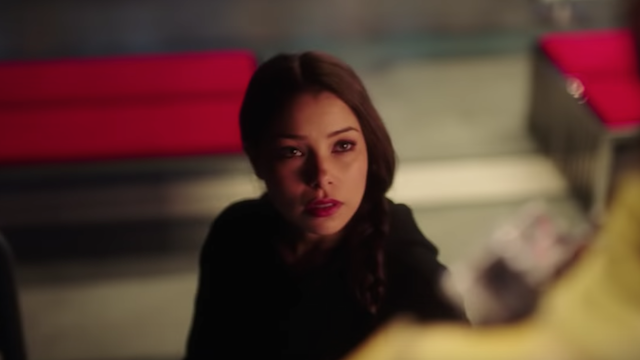 Iris tries to explain that she implanted the chip to ensure that she wouldn’t lose Nora like everyone else in her life. Unsatisfied, Nora speeds off, seemingly disowning Iris for good. 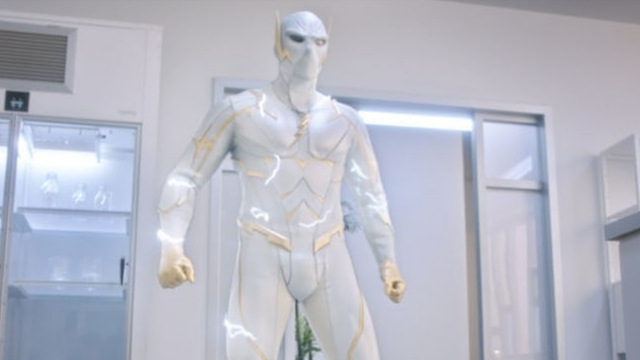 Back at CCPD, Nora’s boss identifies Godspeed as August Heart, the man Nora encountered at the Flash Museum earlier. Nora realizes that Heart’s lightning turns blue, just like Zoom’s. As a result, she deduces that the source of Heart’s speed is Velocity 9. He’s looking for a way to make his speed permanent, which is why he is after the chemicals. Visiting Thawne again, Nora asks for his assistance in stopping Godspeed using a futuristic communication device in his cell. Eventually, Nora is able to persuade Thawne to talk her through defeating the speedster. Arriving at the CCU lab, Nora is able to get the stabilization device needed to craft the Velocity 9. Naturally Godspeed arrives, although Nora manages to attach a power-dampening device to him. Unfortunately, Godspeed injects himself with even more of the speedforce-inducing drug. This causes the two to go on a chase throughout the city, which Thawne guides her through. Eventually, Nora is able to overcome Godspeed using some well-timed microwave pulses from conveniently placed satellite dishes. After their victory, Nora visits Thawne again to ask for further training, but he refuses. Eventually Thawne teases Nora with more information on The Flash, which naturally intrigues her. She goes back to the Flash museum, eventually uncovering Thawne’s time vault. As she searches, Gideon awakens to reveal that Nora’s father was the Flash. She then watches a heartfelt message from Barry while he’s presumably dealing with the Crisis. Back in the present, Nora ends her story by mentioning that she came back from the future just to see her father, and to hopefully solve the Cicada case together. After learning that Nora went back to Thawne multiple times following her emergence, Barry decides that he can’t trust her. As a result, Barry takes her back to the future, where he cautions her not to run back to the present. 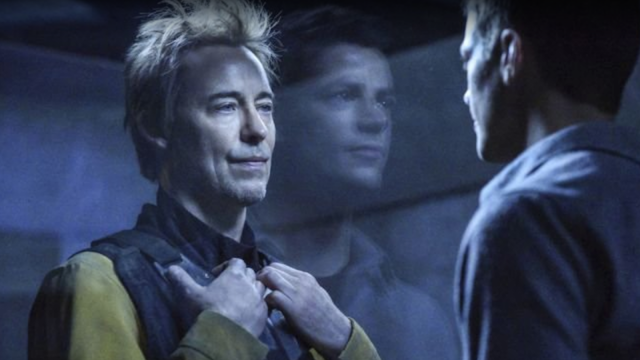 After leaving Nora in the dust, Barry finally confronts Thawne in jail. Barry argues that the Reverse-Flash has lost, and that he will get what’s coming to him. This doesn’t seem to faze Thawne. As Barry returns to the past, the countdown on Thawne’s cell hits the ten-minute mark. What are your thoughts about The Flash season 5 episode 18? Make sure to let us know in the comment section below!